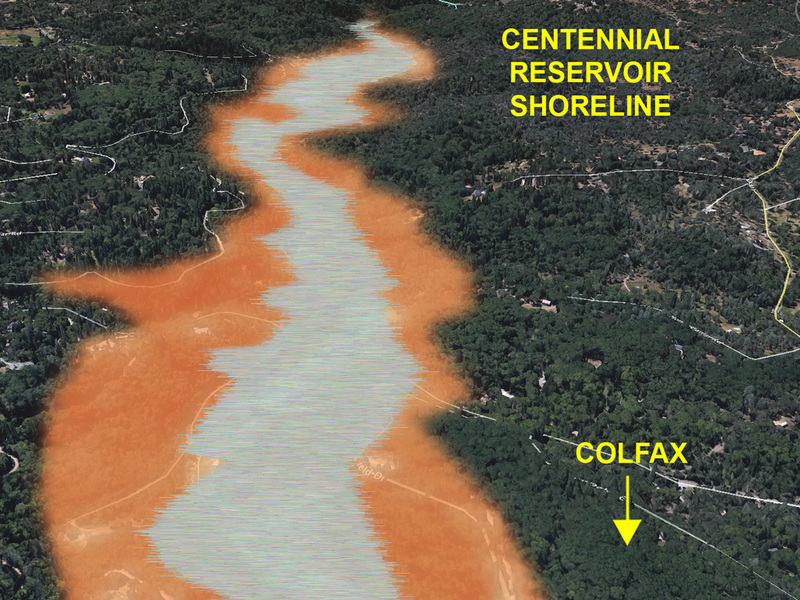 The website contains a video of a public meeting presented by the Sierra College Lecture Series which hosted a talk with NID Director Nick Wilcox and Bear River advocate Otis Wollan, former Director of the Placer County Water Agency. Some of the NID assumptions which came out at the meeting are presented below. 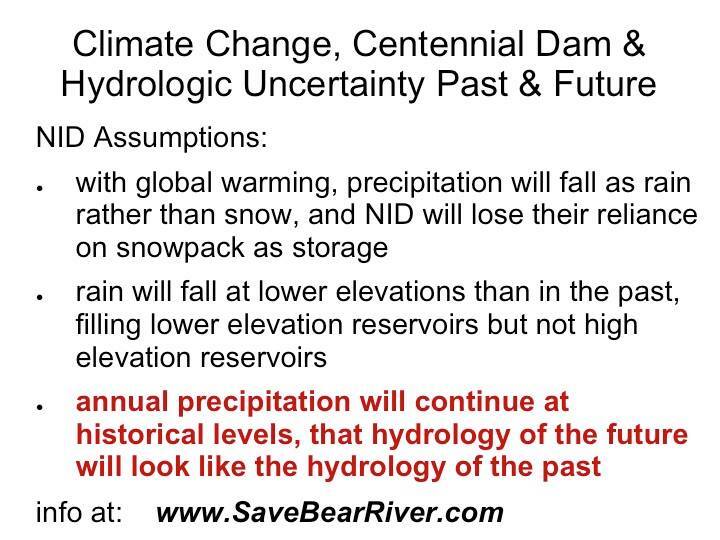 There is good reason to question whether these assumptions are correct, especially concerning the amount of annual precipitation. Checkout the website for full details and other illustrations of the potential impact of the dam.